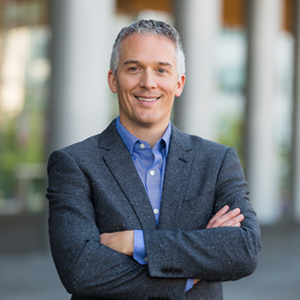 Ken Tupper is Director of Implementation & Partnerships with the British Columbia Centre on Substance Use, and Adjunct Professor in the School of Population and Public Health at the University of British Columbia. His research is focused on the non-medical potential benefits of psychedelics, and accounting for the metaphor of ‘plant teachers’. I met him in 2017 at Breaking Convention, a large, multidisciplinary conference on psychedelic consciousness where I’d won the student prize for my paper on psychedelics as educational tools. I’d been researching the subject for barely a year, so it was a buzz to meet Ken, who published his first journal article on psychedelics and education fifteen years ago, and has been getting them out there pretty regularly ever since. Ken and I are of similar mind. We both believe that psychedelics are agents of learning as much as of healing, indeed that healing is a particular flavour of learning, but we’re coming from quite different places. Ken’s work is focused on the emergent policy landscape and the globalization of ceremonial uses of ayahuasca. Mine bridges modern (Western) psilocybin therapy protocol and the tradition of the solo philosopher-psychonaut, from William James to Christopher Bache. While I’ve been pontificating whether the use of psychotropic substances assumes the reduction of education to a technical problem, and constructing bibliographic wormholes between psychedelia and philosophy of education, Ken has been doing the heavy lifting in public health and policy. Psychedelic enquiry is rapidly becoming socially acceptable as a form of self-development, and it’s plausible that the widely-predicted approval of psychedelic medicines will be followed by a change in the law around their general use. Assuming that this will indeed happen, and drawing on extensive research and his previous career as a government official working on drug policy, Ken recently teamed up with two other researchers to thrash out a detailed proposal for the management and regulation of psychedelics, published in 2016 in the Journal of Psychoactive Drugs. I originally came up with fifteen questions for Ken to answer over email, but we thought it would be more fun to have a real-time discussion, so we spoke on the phone. I took some notes, and then sat on them until a famous food writer from San Francisco published a book about psychedelics, and the world went mad for it. Our bandwagon has been gathering speed for a while, but now we can really feel the wind in our hair. What follows are some of the contours of what Ken and I chatted about. The first thing I wanted to ask Ken about was the positioning of our work, which seems to sit between or beyond established academic communities. Ethnographers have documented the shamanic and psychedelic practices of indigenous people for centuries. This 1560 account from the Catholic evangelization of the Aztecs, by the Franciscan missionary Bernardino de Sahagún, was published in a pharmaceutical trade publication in 1951 (the piece allegedly caught the attention of the banker Gordon Wasson, who then went on to become the 20th century’s most influential ethnomycologist). Points of resonance with western experiential education (e.g. the vision quest) are evident, but these indigenous practices are more likely to be conceptualized by westerners as superstitious ritual rather than as means of gaining meaningful knowledge about the cosmos or human condition. In the fields of neuroscience and psychiatry – following a legally-imposed hiatus of almost fifty years – a second wave of clinical studies in psychedelic psychotherapy is currently yielding compelling results. Few clinicians have explicitly described psychotherapy as a form of education (Carl Rogers is one), but many educationalists have made the case for a therapeutic education, on variable grounds and with variable success. A third distinct community of thought-leaders advocates for the use of psychedelics to boost creativity and productivity. These Übermenschen tend to bypass the slow-moving cogs of peer-reviewed publication. Unshackled by academic convention, they make their contribution to knowledge through podcasts and newsletters, sponsored by peddlers of nootropics and gadgets for the modern man. I wanted to know how Ken saw this nexus of psychedelic, western education and public health and well-being. We discussed how, while psychedelic studies are a transdisciplinary phenomenon that is increasing in validity, faculties of education on both sides of the pond haven’t got involved. Tom Roberts has been steadfastly teaching his module on psychedelic studies at Northern Illinois University for a couple of decades, and putting out papers and books on psychedelics as mind-enhancers (or ‘mindapps’), but that’s pretty much the sum of it. Strange, as psychedelic studies are overturning a lot of what we thought we knew about our minds, and the health of individuals and society. In Canada, many universities are actively integrating traditional indigenous knowledge, and chipping away at the historical colonialism of the academy. It has been some years since the Canadian anthropologist Jeremy Narby sponsored an expedition to the Amazon for biologists and other scientists to examine indigenous knowledge systems and the use of ayahuasca to communicate with other species down to the molecular level. Narby’s books, particularly The Cosmic Serpent and Intelligence in Nature, have been instrumental in raising public awareness of ayahuasca and the lives of those who use it. Ken refers to ayahuasca and other plant medicines as ‘entheogens’, and has done so since starting his MA thesis project in 1999, when the use of the term was limited. In large part, this was a discursive stealth maneuver to be able to more easily advance his ideas in somewhat conservative faculties of education, where the term ‘psychedelic’ carried a lot of baggage but the term ‘entheogen’ didn’t at first glance raise any eyebrows. In addition to this, for him, the mind-manifestation signified by the term ‘psychedelic’ is not the only, or even the primary quality of plant medicine phenomenology. He maintains that it is the mode of use – specifically, a spiritual mode of use – that makes an entheogen. Even synthesised substances like LSD can be used in an entheogenic way. Spirituality has been in crisis for a while. Increasing numbers of people are no longer buying into the mainstream Abrahamic religions. The root of the word ‘religion’ is religio – to bind. While the Abrahamic religions bind us to texts (the Torah, Bible and Koran), spiritual practices in non-literary cultures have a different flavour. For tribes and religious groups that use ayahuasca, it is music – specifically singing and drumming – that opens the portal to the spirit world. Practitioners report that the plants themselves direct the singing. In our work, Ken and I have both drawn on Aldous Huxley’s 1962 novel Island in proposing an integration of psychedelic enquiry into Western education. I’ve found philosophers of education in the UK surprisingly amenable to the idea, and I was curious to know what kind of response Ken gets from his colleagues and peers over in Canada. Apparently when Ken was writing his MA thesis in the early 2000s, his supervisor was highly skeptical that we would see this kind of change in our lifetimes; he assumed we could only be laying the groundwork for the benefit of future generations. But the state of play has altered drastically in the last few years; the psychedelic renaissance is gathering apace and we now have many more spaces where these matters can be discussed. Michael Pollan’s recently published and widely-publicised foray into psychedelia seems to be creating, or at least coinciding with, a turning point. Who wouldn’t trust a man who produced the aphorism “eat food, not too much; mainly plants”? Ken feels the time is right to step up the advancement of psychedelics into academic discussions, in the first instance to intellectually ground the epistemic value of such experiences, and then to flesh out the public policy and educational praxis considerations. No one would seriously propose using psychedelics in Western schools, at least not yet. Profound psychedelic experience tends to be ineffable and highly personal. It’s unlike other forms of experiential learning – driving for example – in that one cannot know or share in advance what will be learned. This is way out of line with the outcomes-based approach that is embedded in Western schooling, even before we deal with the ethics of offering psychotropic substances to youth. It is much more feasible to consider the integration of psychedelic experience with extra-curricular education, through ‘outward bound’ and other experiential programmes for young people. Of course, retreating from a Huxley-style universal psychedelic education doesn’t leave us that far from what young people have been doing for decades. At what point does a group of friends tripping on mushrooms in the sand dunes become a vision quest? What makes it so, and who decides? I’d learned from one of Ken’s articles that Howard Rheingold once co-edited a periodical on psychedelics with Terence McKenna where he disparaged Western ‘acidheads’, claimed that milder psychedelic experiences were less morally valuable, and likened taking LSD to “kiddies playing with toy sailboats”. When I asked Ken whether he saw any value in the recreational use of psychedelics, he first spoke about the intrinsic value of pleasurable experience and then launched into a favourite topic of mine, the role of play in cognition, on which Ken recommends Stephen Johnson’s book Wonderland: How Play Made the Modern World (Johnson also did a talk for the Long Now Foundation, which is available online). Ken maintains that tools can be used as toys, and that’s fine, even if there are risks. Children break their bones skateboarding and falling out of trees. That’s not a good enough reason to deprive them of the intrinsic joys of these activities. Emergency response teams could and should be trained to deal with difficult psychedelic experiences. I’m keen to talk with Ken again, in greater depth, about Jeremy Narby’s work, particularly the idea of taking a group of academics to have a focused psychedelic experience. When I asked which flavour of academic Ken would take on retreat and with what ends in mind, he replied that the world would particularly benefit from educationalists being more open-minded, and more culturally humble. We have tried and tested protocols and tailored playlists for safe, reliable psychedelic psychotherapy; we now need to explore protocols and resources that support academic thinking. The music Mendel Kaelen created for the Imperial College depression study is a work of mastery; six hours of light and shadow and texture, carefully crafted to surface difficult memories and emotions. But, if you want to contemplate the hard problem of consciousness, or how to educate for world peace, being flooded with profound insights about your relationship with your mother doesn’t feel helpful. For a while, heeding the folklore that ‘the mushrooms give you what you need’, I thought perhaps it was the case that these personal matters needed to be attended to first. If you start counting the greatest minds in history on your fingers, however, you’ll only need one hand to see that troubles and trauma are no impediment to wisdom or innovation. Also, there is no end to dealing with them. Ken told me how long-term ayahuasca drinkers start to piece together the experiences so that they develop a coherent – almost curricular – structure. It never ends, though; there is always more. Ken’s chapter ‘The economics of ayahuasca: Money, markets, and the value of the vine’ in The World Ayahuasca Diaspora: Reinventions and Controversies. Civilized to Death: What Was Lost on the Way to Modernity – Christopher Ryan (still forthcoming, but Chris has spoken about its various themes in his excellent Tangentially Speaking podcast). Most of Ken’s publications on psychedelics, entheogenic education and drug policy can be found on his personal homepage. Lindsay Jordan is a lecturer at the University of the Arts London. Her research is in psychedelic enquiry and the philosophy of education, and she lives in Hackney with her two cats. First published in 3:AM Magazine: Wednesday, June 6th, 2018.